Are you recently engaged? Planning your wedding? Busy searching the internet for recommended wedding suppliers but not sure where to start? As a wedding photographer I am often asked by Brides for recommendations of other wedding suppliers, so here are my favourites in and around Berkshire. I have worked with them all and can verify that as well as being super talented they are also really lovely! Sonning Flowers - one of the most established florists locally, Sonning Flowers has created some truly remarkable floral displays over the years. Twiggy Thistle - Chantal is super-creative and a must if you are planning a Boho/Festival style wedding. Katie-Jane Whitlock Bohemian Bridal Hair - One of my favourite people in the business, Katie-Jane is bloody brilliant. Book her now! Joyce Connor - with 20 years experience Joyce is a bloody legend in the world of wedding make-up! White Olive Design Studio - Jacquie has a beautiful range of wedding stationary available and is always happy to help. 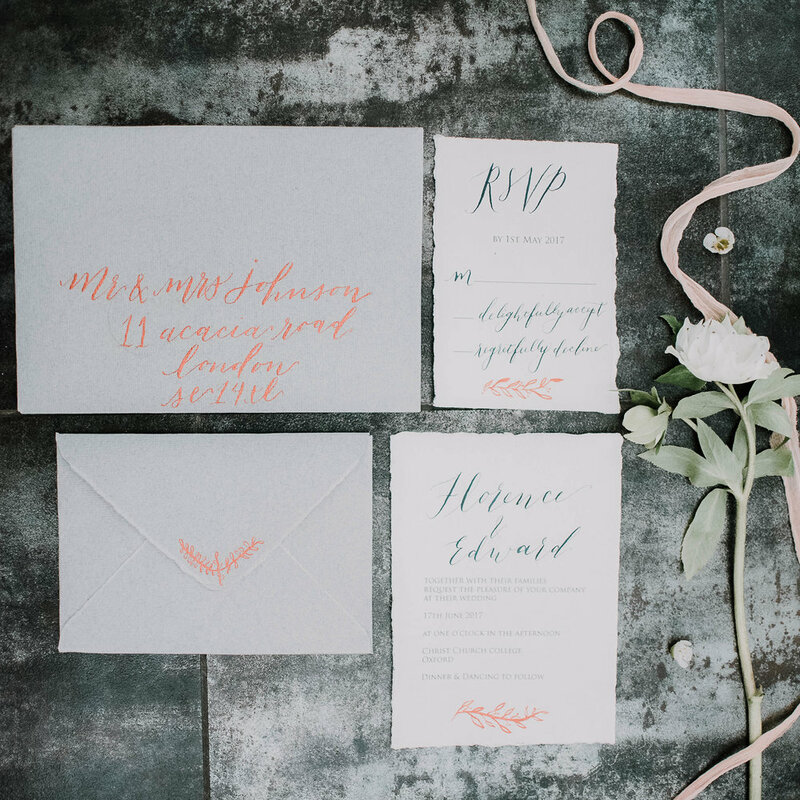 Merrie & Bright Calligraphy - Merrie’s calligraphy is stunning. As well as offering wedding stationary she also runs workshops, the perfect pre-wedding treat to yourself! Melissa Woodland Cakes - if luxury is what you are looking for then Melissa is your lady! Tiny Sarah’s Cakes - offering quirky designs, Sarah’s cakes are all vegan-friendly. Wedding Creations UK - Lauradana has been named as 'Wedding Stylist of the Year' twice now, and I can totally see why! Beyond Vintage - providing on the day styling, as well as a hire service, Lou is the lady to speak to when thinking about the style of your day. Jo Robbings Videography is not only a very talented videographer, she is a dream to work with. Daft - I’ve seen these guys in action and can guarantee that they will have everyone up on the dance floor! I hope that this has helped you get started on your wedding planning journey? Feel free to get in touch if you would like to chat about my wedding photography services, or if you have any questions along the way.